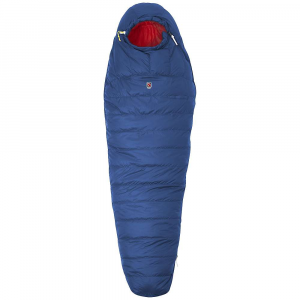 Surely you have had to deal with the agony of having to crawl out of your warm sleeping bag when it is freezing cold out. Nobody likes it! 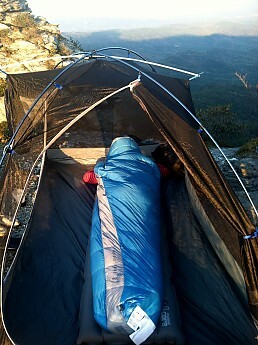 Sierra Designs has come up with a solution for it by creating one of the most innovative new sleeping bags on the market, The Mobile Mummy. 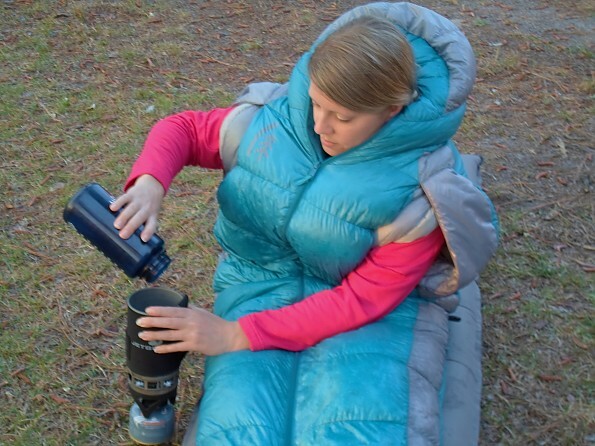 It is a garment style sleeping bag that you can wear while you walk around camp and use your arms to read, eat, or drink a beverage while in your tent. 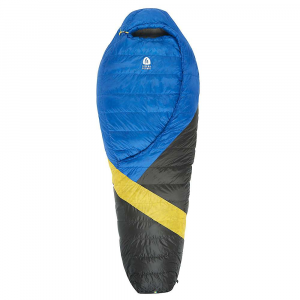 While it isn’t the first sleeping bag with arm and leg ports, it is certainly the most well designed one that I have seen. Weighing in at 1 lb 13 oz, this 800 fill DriDown women’s specific version is rated to a comfort level of 31 degrees and a lower limit of 20 degrees. 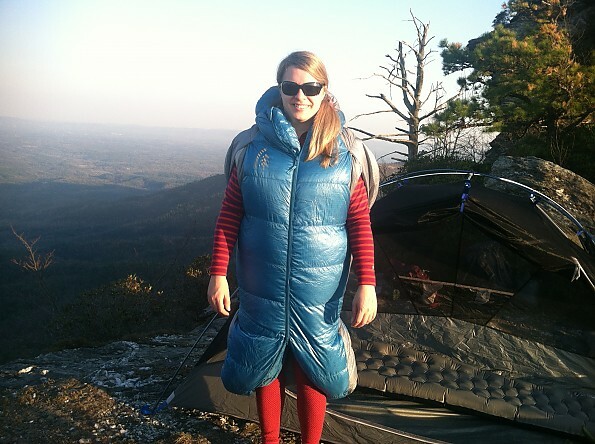 I am a 5’4” 30-year-old female backpacker from South Carolina. 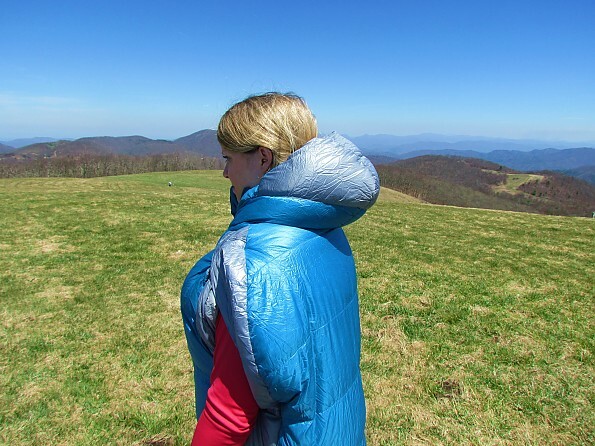 I typically day hike and backpack in the southern Appalachian Mountains, primarily in North Carolina. 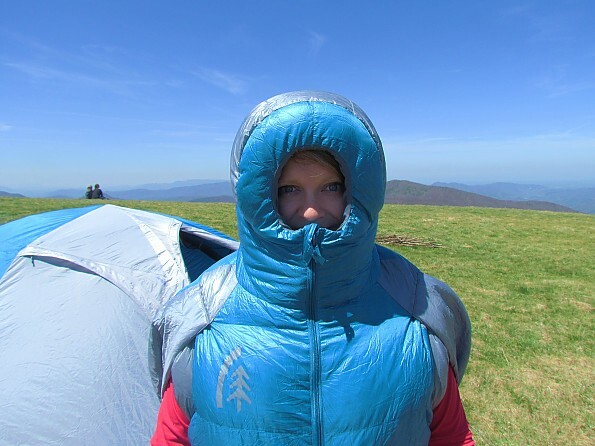 My backpacking style is comfort-driven. I am not afraid to carry an item that is a few more ounces if it means it will be more comfortable. 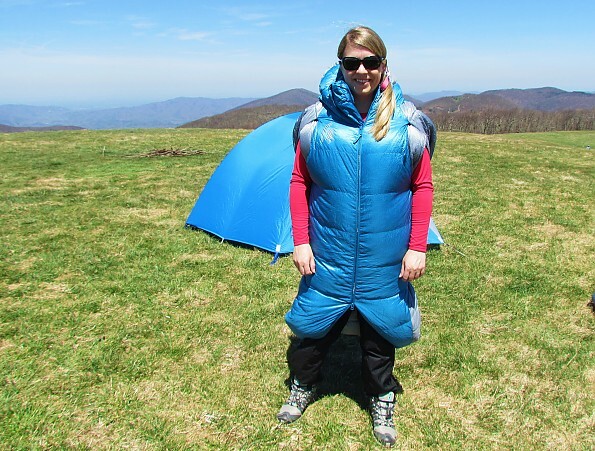 I prefer big tents, warm and roomy sleeping bags, plush sleeping pads, and packs with very comfortable waist belts and shoulder pads. In other words, “roughing it” is not my style. 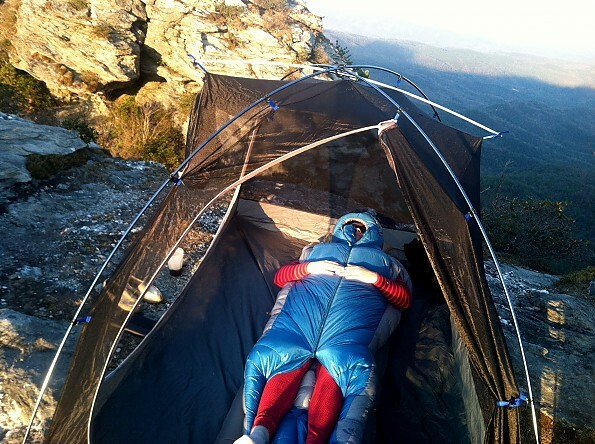 I tested the 2-Season Mobile Mummy on multiple nights in the backcountry with temperatures ranging from 30 degrees to 50 degrees. 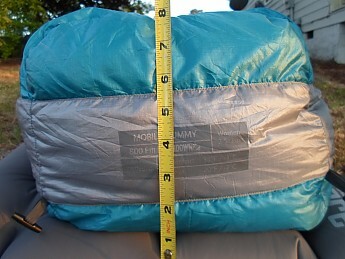 Each time it was tested, I slept on a Big Agnes Insulated Q-Core sleeping pad that is rated to 15 degrees. At 30 degrees, I was perfectly warm with the bag zipped, ports sealed, and the hood on. I was wearing a SmartWool Midweight Pattern Zip-T and bottoms and Smartwool PHD Crew Socks. I feel like I could have easily slept comfortably with temperatures another 5 degrees lower and possibly even 10. I got chilled when I tried sleeping with my arms out of the ports at 30 degrees. 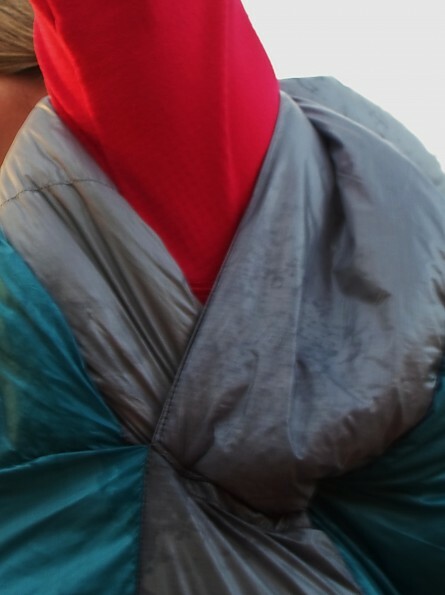 On the same night when the low got down to 30, I wore the bag around camp, but when my arms were out of the ports I was cold, so I recommend wearing a jacket underneath if you are going to have your arms out of the ports. A co-worker of mine mentioned that I have a striking resemblance to Kenny from South Park with the bag on and the hood zipped up. I have to admit, I kind of agree! If you typically sleep cold like I do, I recommend sleeping with a jacket easily accessible so that you can put your arms in it if you want them outside of the bag to sleep with your arms under your head. While sleeping in the mid 40s, I wore nylon shorts and a synthetic long sleeved shirt. Initially, I was perfectly warm, but I got a little too warm, so I unzipped the bottom of the bag to let my legs vent and the top of the bag from the chin to my chest. When I slept at 50 degrees, I was in a synthetic short sleeved shirt and nylon shorts. I started out with my arms out of the bag, but my legs in and zipped, and hood on. After an hour, the bag warmed up and I took my arms and legs out and the hood off. As the night got colder, I ended up putting my legs back in the bag. 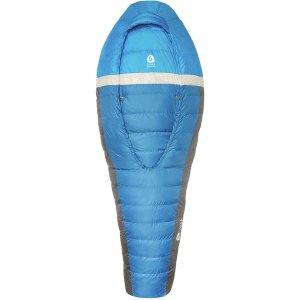 I have never had all of these options for perfect comfort in a sleeping bag. Normally, you can only unzip the side of the bag. 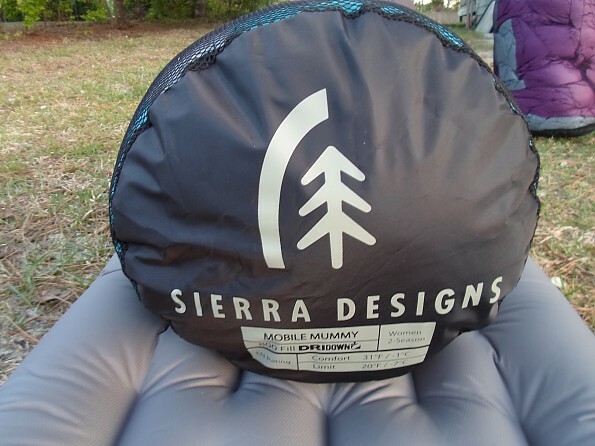 Sierra Designs has recently revamped their line of sleeping bags. The three main new ones are the Mobile Mummy, the Backcountry Bed, and the Backcountry Quilt. There are several different variations of the Mobile Mummy bag: Men’s 2-season (EN rating: 39, 29) and 3-season (EN rating: 27, 16) and Women’s 2-season (En rating: 31, 20) and 3-season (EN rating: 20, 7). I received both women’s bags to test. Of the two, I would use the 2-season one more often. It is classified as a 2-season bag, but I personally would use it 3 full seasons (spring, the cooler half of summer, fall, and the warmer half of winter). It can be used in such a wide range of temperatures because it has so much down in it that it will be warm down to 25 degrees (possibly even 20) and has so many venting options that you really could use it up to 60 degrees. 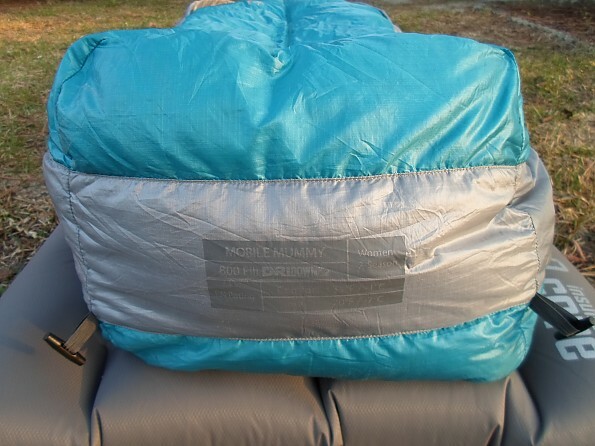 Most 800 fill "30" degree down sleeping bags should be labeled 40 degree bags. The Mobile Mummy is true to its rating and could easily be classified as a 25-degree bag. Unlike other 30 degree mummy bags, the Mobile Mummy has plenty of leg and shoulder room. 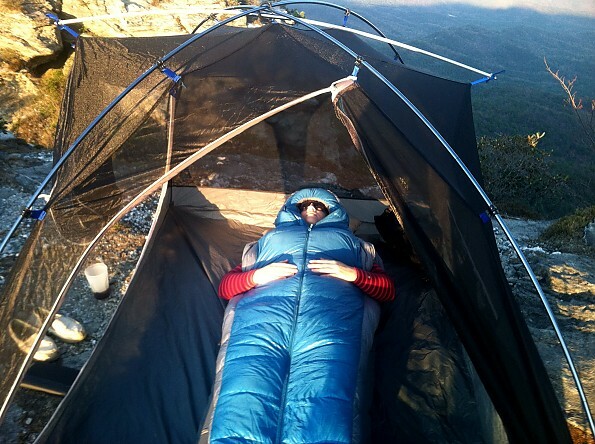 The size and shape of the Mobile Mummy allows you to comfortably sleep in almost any position you’d like. The leg area has enough room for you to bend your knees while side sleeping, stomach sleeping, or back sleeping. The Mobile Mummy is also designed to move with you. Whether you are wearing it or sleeping in it, it moves with your body. 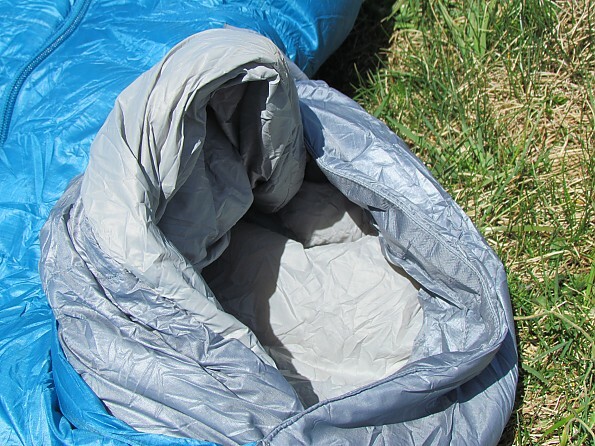 In typical sleeping bags, you roll around in your bag. In the Mobile Mummy, the bag actually rolls with you because it is a garment style bag that fits close to your body. 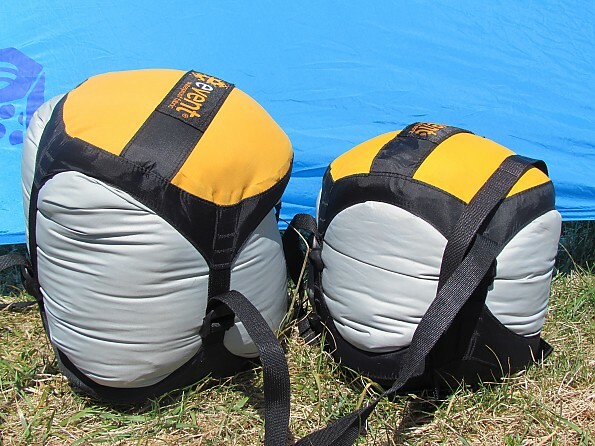 I think that the Mobile Mummy is great for backpackers because it gives you the option of leaving a jacket at home and ensures that you will always be warm around camp and in your tent or hammock. The Mobile Mummy should also be a huge hit with climbers and climbers who bivouac. I often see pictures of climbers bivouacking and they are halfway in their bags, sitting upright, cooking or eating. 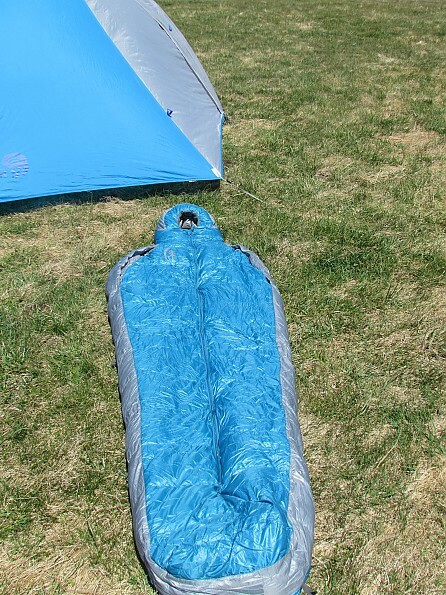 Imagine how much the Mobile Mummy would improve the quality of their camping, not only because they could wear their sleeping bags, but also because the bag is filled with water-resistant DriDown. I am not a climber, but I can tell you that if I were suspended on a big wall in a bivouac shelter, the Mobile Mummy would be my bag of choice. The Mobile Mummy is very warm because it is so thoughtfully designed. First of all, the horizontal baffles are packed with 13.5 oz of down fill. I’ve never seen a “30”degree bag stuffed with more 800fp fill or loft. 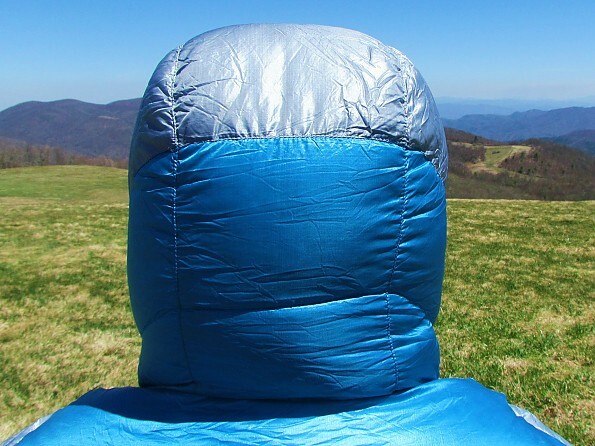 The hood and footbox are extra lofty because they clearly have more down stuffed in them to prevent heat loss from the two areas where heat is lost the most, the head and the feet. 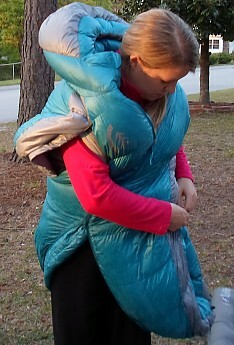 The Mobile Mummy also has draft tubes around the neck, arm ports, and zipper to make sure that no cold air sneaks in. I have not noticed any cold spots whatsoever in this bag. 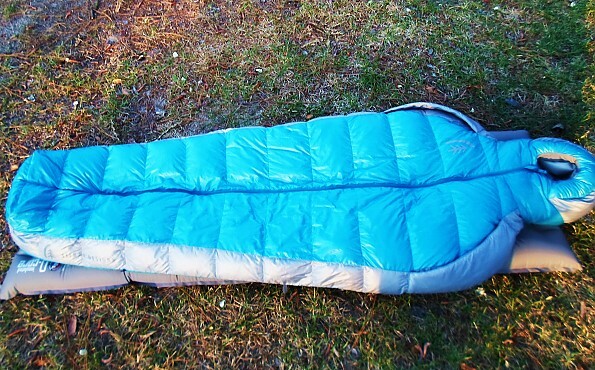 The cold spots that I’ve seen in other sleeping bags (esp U.L. mummy bags) is where there is a lack of down. The Mobile Mummy is packed full of down all over, so I can’t see how it would be susceptible to cold spots with all that down. When you lift it up and look at it through the light, you do not see any bare spots. During the testing phase, I only noticed a couple of feathers leak out. 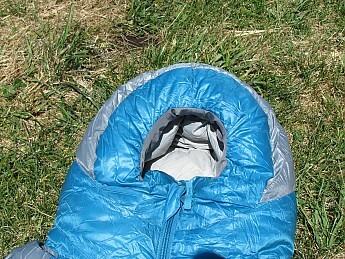 When you exit other sleeping bags in the night, you expose it to cold air and your warm body heat leaves the bag. When you are wearing the Mobile Mummy, your backcountry bed is always warm because you never have to get out of it. 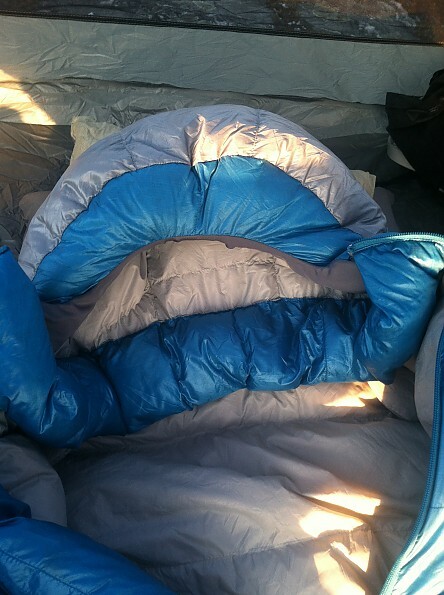 The Mobile Mummy has the best venting options I have ever seen in a sleeping bag. The 58” two-way zipper can be unzipped completely (from the inside or outside), or as much as you’d like from the top or bottom. You can also pop one or both legs out. The Mobile Mummy also has arm ports, where you can pop your arms out of the bag easily at any time for additional venting. The top can also be unzipped to allow as much air in (and extra neck room) as you’d like. The Mobile Mummy is very comfortable and fits my 5’4” frame very well. There is no gapping in the shoulders when you are wearing it because it fits like a jacket. The hood fits nice and snugly. The bag is also very comfortable due to the amount of leg and shoulder room. The shoulder width is 60”, the hip width is 56”, and the foot width is 36”. The only gripe that I have about the bag’s fit is the actual length of the bag, which is 74”. The footbox is sort of cramped lengthwise, (not width or height of the footbox). My toes hit the end of the bag any time I point them (which I often do when sleeping on my stomach). This is a cause for concern for me, because it could lead to cold spots from your feet pressing the insulation against the end of the bag. It does not have any noticeable cold spots at this time, but I wonder if it would after extended use. I will add that for a 5’4” female, I do have rather long feet (I wear a size 8.5-9 shoe). As I mentioned earlier, I am also testing the 3-Season Mobile Mummy. The 2-Season has more overall room because there is less down fill than the 3-Season. You can enter the bag a couple of different ways. Step into it or slip it over your head to wear it as a garment or unzip it down the front and slide into it if you are sitting or sleeping in your bed. Exiting the bag is also simple. 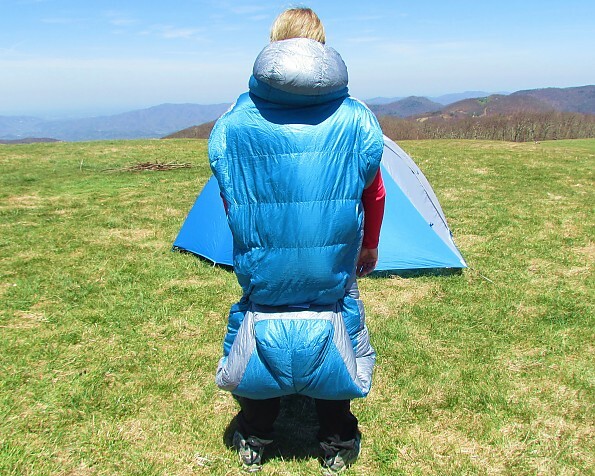 You can slide your arms out of the ports, unzip the front as far as needed and step out or you can unzip the bottom, toggle it at the waist, and then walk around wherever you need to go. This bag allows full range of motion of the arms and legs. 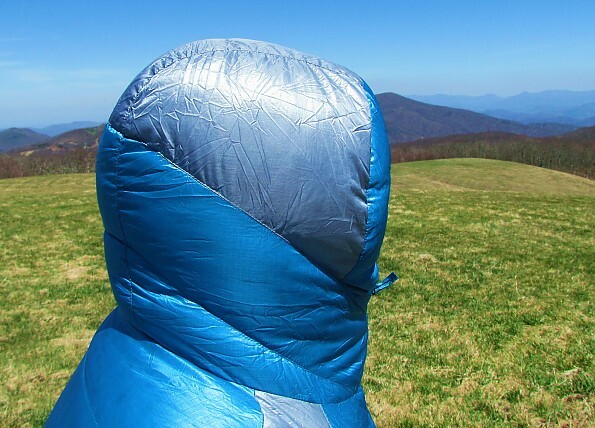 You can do virtually anything in this sleeping bag that you could in a jacket and pants. You can cook, eat, drink a beverage, read, set up or pack up camp, and most importantly sleep comfortably in the Mobile Mummy. The Mobile Mummy is comprised of 800 Fill DriDown, which is regular down treated with a molecular level polymer to create a hydrophobic finish on each individual down plume. This finish allows DriDown to stay dry longer, loft better, and dry faster than regular down, keeping you warmer in any environment. As untreated down gets wet, it loses loft and therefore loses its ability to insulate. DriDown helps eliminate this problem. DriDown stays dry 10-times longer than untreated down. 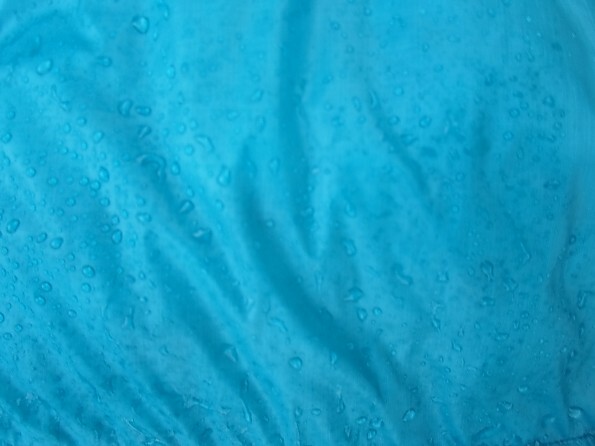 DriDown retains 170% more loft than untreated down when exposed to moisture and humidity. DriDown dries 33% faster than untreated down. I was not able to get any condensation on the bag, so I misted it with a hose at home to my estimation of how much condensation the bag could get on it. I didn't completely drench the bag, but I made sure I sprayed it enough to get the feathers inside good and wet to simulate real condensation. Here, the bag is wet, but maintained its loft. I wore it for a while and noticed that I could feel the temperature of the water, but my body was still warm. It dried remarkably fast. I obviously can't say exactly how fast it was completely dry, but after about 20 minutes it wasn't noticeably wet anymore. 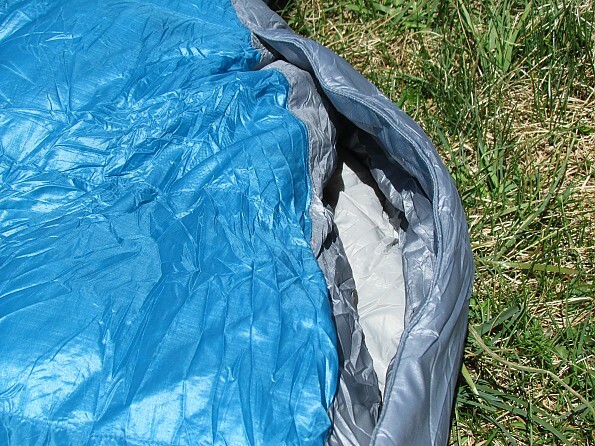 Many bags on the market today use a water-resistant Pertex shell and or DWR treatment. This shell is not very water-resistant because the water soaked through pretty easily. 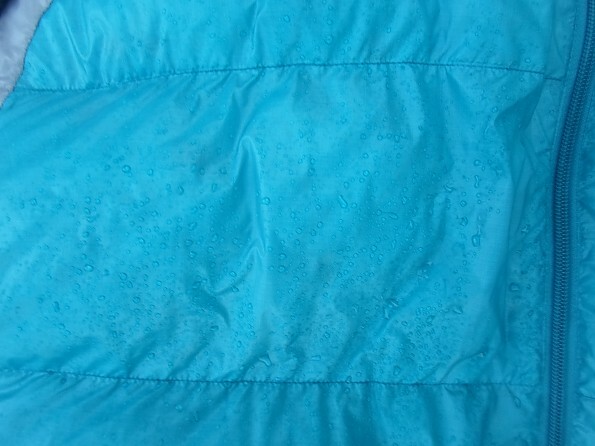 This is not a flaw of the bag, because it does not claim to be water-resistant as a whole, just the DriDown insulation. The bag has a ton of loft in it, but it is just as compressible the other two 30 degree bags that I have (Montbell U.L. Super Spiral Down Hugger #3 and the Stoic Somnus SZ 30). If you have read any of this review, you’ve already seen mention of how impressed I am with the loft of this bag. It is lofty naturally when it hasn’t been compressed and it also puffs up really quickly after being compressed. Just for testing purposes I left it compressed (in a compression sack, not just a stuff sack) for a week and after it had settled for a few minutes it looked like it had never been compressed. The body of the bag has 5" of loft. The footbox has a whopping 8" of loft. I think the Mobile Mummy has great style because of its jacket style fit and the beautiful colors it comes in. It looks great! I think it does look a little goofy with the hood on, but who cares? It is SO warm! The jacket style hood has no toggles or itchy velcro tabs. It has a very comfortable elastic band that adjusts to the size of your head and fits your face exactly as a hood with toggles would, except that you don’t feel the pressure of the cords and don’t have to deal with rolling over on toggles. As an extension of the hood, the neck also has a specialized cut and is jam packed with down. It's no wonder the hood is so warm, it has twelve baffles! My favorite feature of the Mobile Mummy is its zipperless arm ports, which are about 12" long. 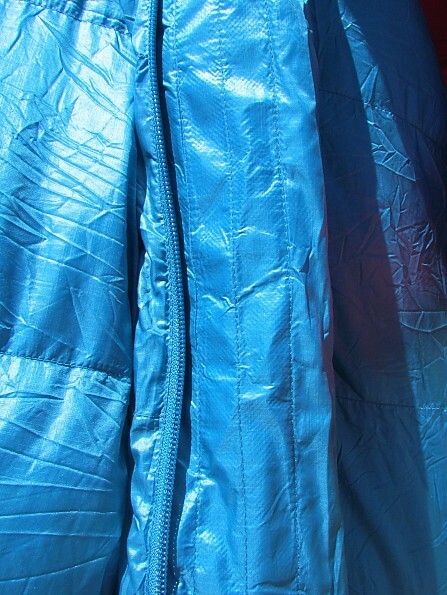 Here you can see the "draft curtains", which seal in your body heat so that no drafts come into the bag. The draft curtains seal when you push your elbows out. I was suspect of this initially, but after testing it I realized that they truly do not let any air in. The Mobile Mummy has a Draft Prevention System that includes a draft tube that runs the length of the 58" zipper and has anti-snag stiffened zipper backing, a plush draft collar around the neck, and the draft curtains in the arm ports. Check out the stout draft collar! Most 30 degree bags don't even have a draft collar. The 20 denier ripstop nylon shell paired with the comfy 20 denier taffeta lining are the perfect combo for this bag. 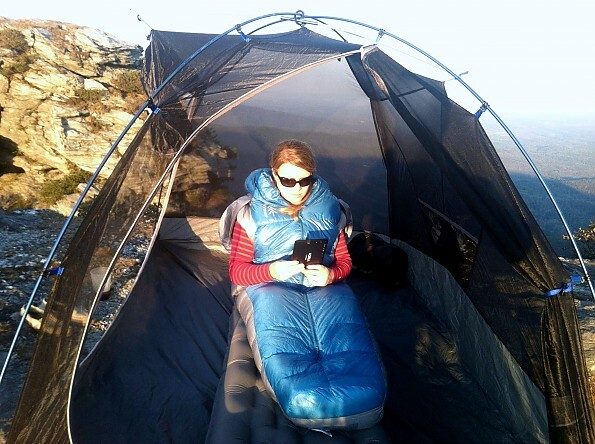 The ripstop nylon is tough enough to survive outside of the tent without having to be babied too much. I would not recommed sitting near a fire with it on, but you would not need to anyway because it is so warm. Here you can see the loft of the footbox and the toggles that double as hang loops for your bag. 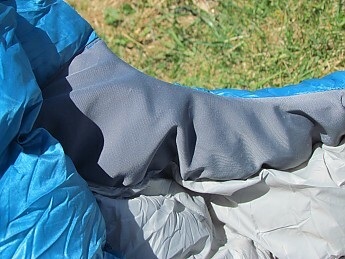 The stowable footbox attaches by a set of toggles on the bottom of the bag and loops midway up the bag. 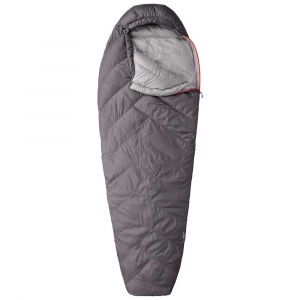 The Sierra Designs Women's Mobile Mummy 2-Season is a great bag for shorter ladies who are active in their campsites and don't like to be confined to their sleeping bag when it is cold out. The only things that I would change would be to add a little more length and add pockets on the front of the bag. 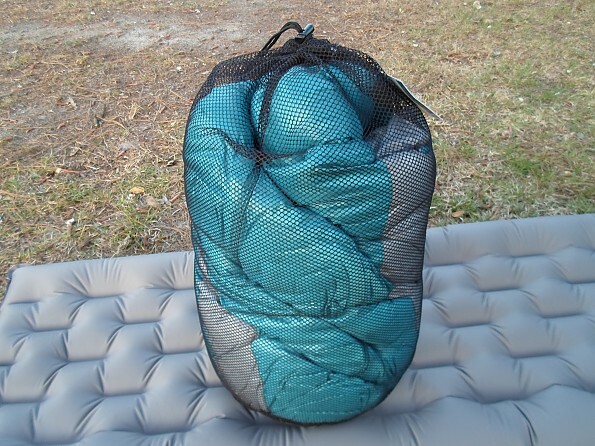 I recommend this bag because it has been a game changer for the quality of my camp life. 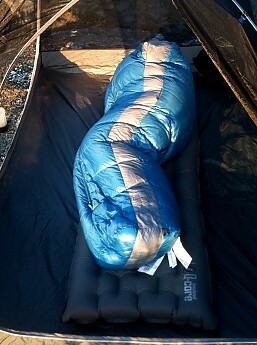 I will never be able to use another sleeping bag without wishing that I had full use of my arms. I gave the Mobile Mummy a 5-star rating because of its stellar design, comfort, and because of its impressive temperature range. I expect to start seeing these all over the trail very soon. 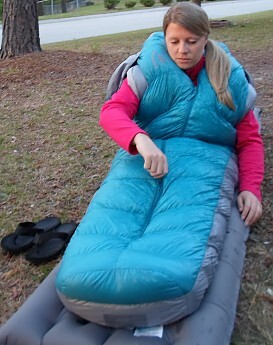 Thank you for taking the time to read my review of the Sierra Designs Women's Mobile Mummy 2-Season sleeping bag. 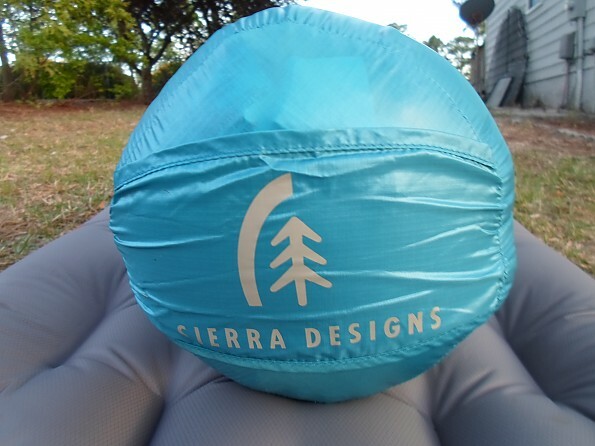 Thank you to Sierra Designs and Trailspace for giving me the opportunity to test and review this awesome bag. Another FANTASTIC review! Job well done! Wow! 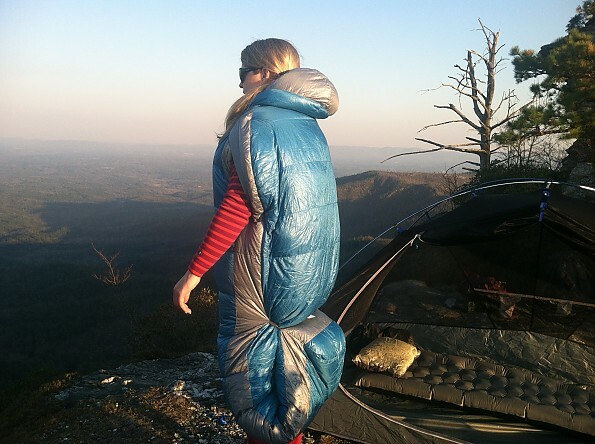 That is quite a sleeping bag. Great review too. Great job, Ashleigh! I love all the pictures and info. Solid write-up, Ashleigh! 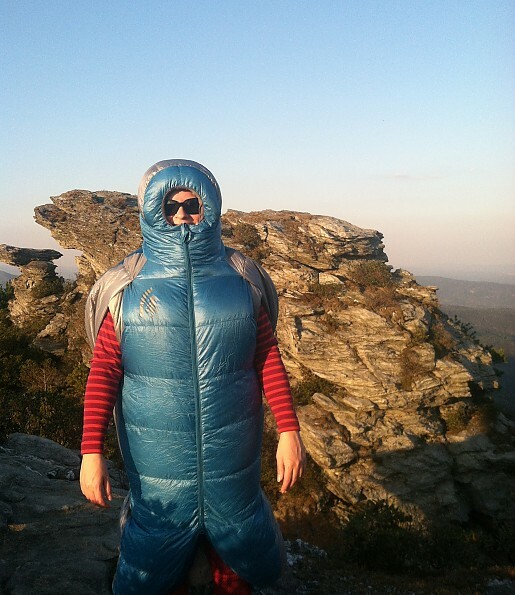 If this could serve the same functions as my topquilt/puffy jacket, I'd be all for it. Well, provided I could still enter and exit a hammock while wearing it. :) Does it come in "dude," or is a women's model the only one available right now? I really, really dig multipurpose items and like this concept. And hey - is that MH Optic an item to review for the RC, or your own gear? Really curious to see how those adjacent vestibules fare! With all that loft, I'm really surprise it isn't warmer. I'm also surprised it's under 2lbs with all the additional zippers. And finally...I'm kind of disgusted that you can camp in such a gorgeous location and claim you don't like "roughing it." Guess I'll go stare at my corn fields and dream of mountains. :P Great review! Thanks, everyone! @ Eric, yes, there is a men's version. The length and temperature ratings are different from the women's versions. You can get in and out of a hammock with it. I'll try to illustrate that with my 3 Season Mobile Mummy review that is coming up. I will pm you about the MH Optic. @Goose, I think it is very warm for its weight. As I said, it can go to at least 25, maybe even colder. If I am able to continue testing it, I will update next fall or winter when I can find some low temperatures again. I actually found that campsite idea in Backpacker Magazine a few months ago. It is an area in the Linville Gorge (NC), called The Chimneys. Driving there is a bear, but from the trailhead, you would not believe how easy it is to get there! As far as not liking roughing it, I've roughed it on many trips, but now I've realized how much better a camping experience can be with the right gear and accessories! Thanks for the very, very informative review Ashleigh! Hi Ashleigh: Thanks for the review. As you may know Sierra Designs is on a mission to obsolete the traditional mummy bag, which is claustrophobic and confining, and does not know whether it is a bed or a garment, so fails to be either. The Mobile Mummy allows the thermal efficiency of the the traditional mummy while removing the claustrophobia and allowing freedom of movement. 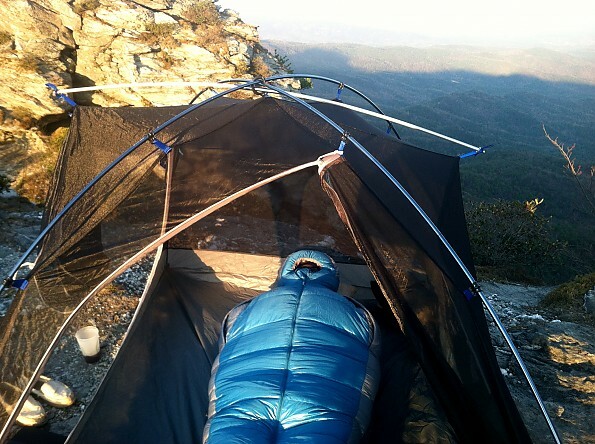 For readers who prefer a true bed vs. a garment, check out the Backcountry Bed reviews. Ashleigh: One other note: we don't believe in "roughing it" either, but we don't think you need to carry those extra ounces either. You can have both, and we are working hard to prove it. Michael, Thanks so much for the opportunity to test and review the Mobile Mummy. 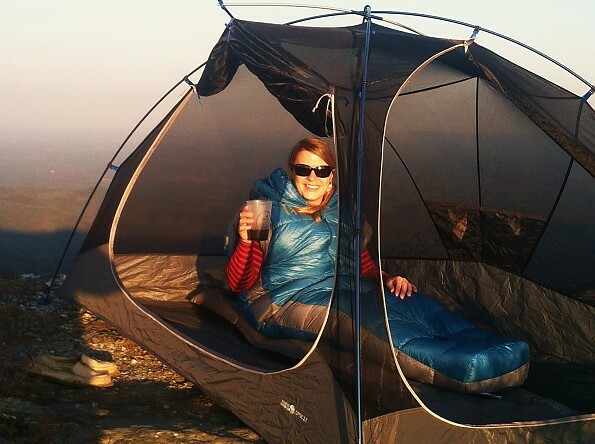 During the time that I tested it, the quality of my campsite life drastically improved. 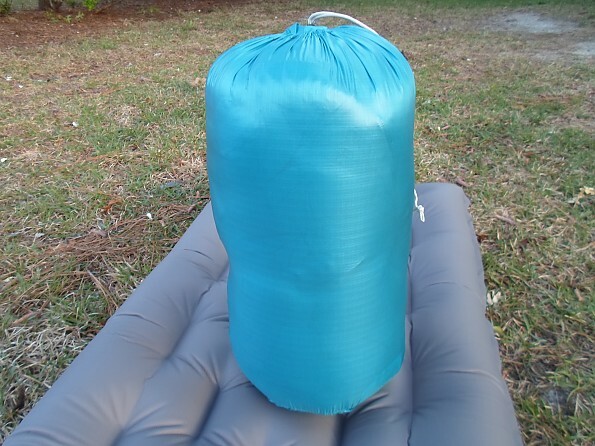 What I am hoping that most people got out of this review is that this bag does weigh more than typical 30 degree ultralight mummy bags, but its actual temperature rating is easily a 25, if not 20 degree, so its weight is actually very appropriate for the tempertures it can keep you warm in. I would not consider any of its weight to be extra ounces in this case. Such awesome reviews Ashleigh, for both versions! I'm feeling the pressure to go back and improve my Backcountry Bed pics, but how could I top a picture of someone playing frisbee while wearing a sleeping bag? I'm glad to see you had so much fun testing your samples. I remember the day when Seth presented both options and trying to make up mind mind which to request...sounds like I couldn't have gone wrong with either! Well, they couldn't have found a better match in such a thorough reviewer. 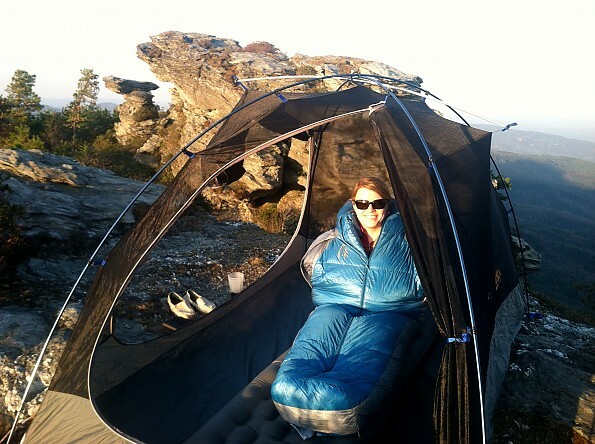 Outdoor women rock! Thank you so much, Lah! You are right, I don't think you could go wrong with either. They are both outstanding and innovative bags! I was torn, as well! The Mobile Mummy preformed as expected and as they claimed. I wasn't sure what the outside temperature was going to be, but I was excited to try out a new bag that was going to take 1lbs 6oz off my sleep system. Hood gets very warm when put on. I wanted this bag from the moment I saw the video a local retailer sent to me in an email of upcoming products. I am a side sleeper and constantly move around while sleeping so this design caught my attention. It was tough waiting for Sierra designs to release information on it, but the wait was worth every minute. When I finally saw the weight I knew I needed to pick one up. There was one advantage to waiting for it. I had already put away the money so when it became available I picked it up immediately. 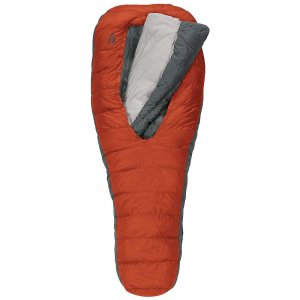 I used it on a trip to Coyote Gulch in Escalante, Utah, just at the end of March 2014 and the temperature dropped well below freezing as evidenced by the ice on my tent fly when I awoke the first morning; I slept quite warm. 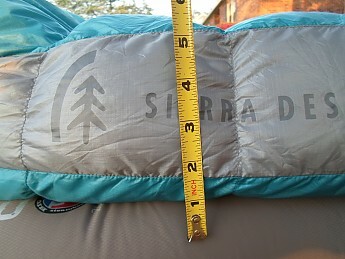 This bag did everything that Sierra Designs claimed it would and the second night I slept even better. The other thing I like about this bag is mine weighs 1lbs 11.4oz, which is less than what they claim. It's refreshing to actually find a product that works as well as the manufacturer claims. Only knocked it down a little for the hood, they could lighten the amount of down in the hood. The Sierra Designs Mobile Mummy 800 2-Season is not available from the stores we monitor. 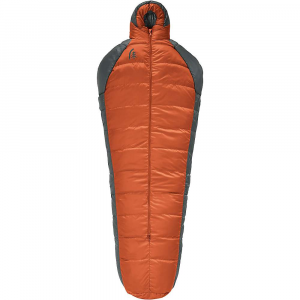 It was last seen March 22, 2019	at REI.